This wasn’t the first weekend Ms. Olsen spent wading through construction waste hunting for old wood. A nurse, mother of two and hobby woodworker from Bowie, Md., she once took a break from work to salvage wood from a historic house, returning with her sweater covered in sawdust. Another time, she tore her jacket with rusty nails sticking out from rough beams at a demolition site. Homeowners, interior designers and crafts fans go to extreme lengths for reclaimed wood. To find perfectly weathered beams and boards they rent trucks to drive to distant sawmills, troll online classifieds or chat up foremen on construction sites. They prowl old barns, salvage yards or supermarket loading docks in search of discarded planks or pallets. Fans of reclaimed lumber like it as old as possible, with saw marks and nail holes as welcome additions. Some celebrate knots or cracks. Others have a weakness for wormholes. Old wood, they say, has a history and character mass-produced lumber can’t match. So early the next morning, she embarked on two-hour drive and a ferry ride to the tip of the Olympic Peninsula to secure the richly grained planks that are now an accent wall in a bedroom. “We wanted it to have this old, lived-in look,” says Ms. Limbaugh, 49. Like many homeowners, she also liked the idea of recycling building materials. Charlie Isaacs, 60, an executive with Salesforce.com Inc., reused the floor of a 1925 cottage on Maryland’s Chesapeake Bay that he and his wife, Paula, tore down to build a new house. Ms. Isaacs fell in love with the wide, reddish pine planks on the ground floor when she first set foot in the cottage. One afternoon in the fall of 2017, just before the planned demolition, she started to cry. “You’ve got to save these floors, you’ve just go to,” she pleaded with her husband. Mr. Isaacs went to the basement with a big hammer and a piece of lumber. He knocked on the floor boards from below and managed to push one up. Workers later carefully took out each plank in a time-consuming, costly process. Two 16-foot box trucks took them to be stored, cut and milled at Old Wood Delaware, a lumber mill. “When I picked it up, it wasn’t the greatest-looking stuff, but it had a lot of character,” says owner Marty Bueneman. He re-delivered the floors in February, but the Isaacs wanted more old wood. “We had to go barn-beam shopping,” says Ms. Isaacs, 62. “You made me drive to Pennsylvania in 30-degree weather,” says Mr. Isaacs. Prices vary, depending on the wood’s quality. But reclaimed wood can more than double the price of a building project, says Marc Poirier, owner of Long Leaf Lumber, of Cambridge, Mass., which sells wood from barns, shipyards and churches. A new oak plank popular for flooring costs around $4.50 per square foot, while a reclaimed plank can cost around $10.50 per square foot, he says. 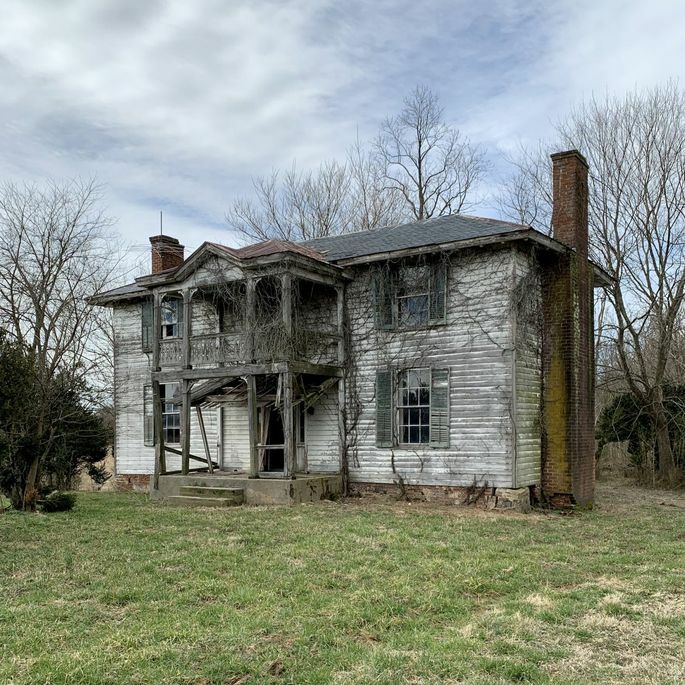 Craig Jacobs, of Salvagewrights in Orange, Va., often gets calls from farmers or homeowners hoping to sell or give him old buildings in exchange for taking them down. Sometimes, he spots attractive wood from the road. 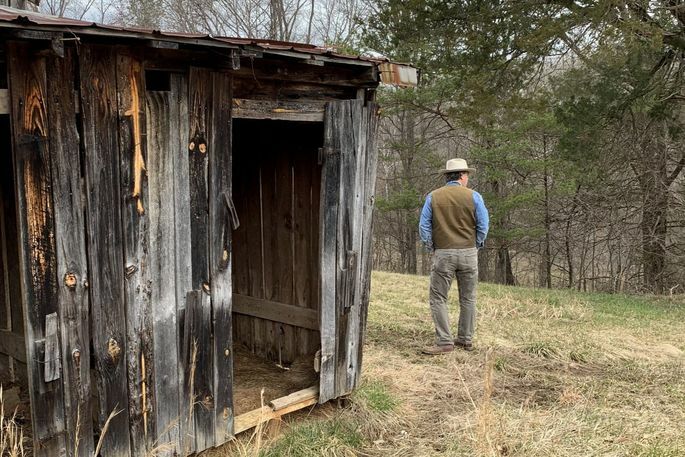 In the Virginia countryside one day, he inspected a ramshackle shed but it was too wrecked to disassemble without damaging the wood. A house from the 1800s, soon to be razed, had more potential, but he felt the owner might ask a high price. Then he found a winner: a once-graceful plantation home, with a carved wood balustrade customers would love, and an intact roof that had protected the frame and floorboards from rain and rot. Salvaging the timber would take five workers over two weeks and cost around $8,000, he estimated. The floor alone, made of sturdy Southern Pine, would recover that cost, while the frame could fetch another $10,000. Among his’ best finds: wood from James Madison’s Montpelier estate in Virginia. Zach Robbins, a 28-year-old technology executive from Chattanooga, Tenn., built his wife, Kathleen, a bed from that wood. As a break from his screen-heavy day job, Mr. Robbins started making furniture. Building the bed took a year. “It was a wedding gift that turned into a one-year-anniversary gift,” says Mr. Robbins. Some rescue missions can be risky. As Paul Krause, an artist from Sandy Springs, Ga., was reclaiming Southern Pine on a 19th-century farm, he spotted a different wood in a crumbling barn. Holding up the hay loft were six square posts that he guessed were pecan wood. A rich espresso tone with a grayish hue, they had mineral stains and insect damage, and he was determined to extract them—without the roof collapsing on his head. Today, the beams, smoothed and coated, hold up a metal tabletop in the weekend home of Kay and David Penter on Lake Oconee, Ga. On the table, they keep a small block of the original barn posts. To devotees of distressed wood, imperfections make it more interesting, says Tim Brosius, who owns Rescued Relics Reclaimed Barn Wood in Brookville, Penn. with his girlfriend, Victoria Nation. On Craigslist, the couple recently advertised a “large supply of reclaimed wormy chestnut.” The post brought in “tons and tons” of customers, they say. One so wanted the wormy wood, taken from a barn near Pittsburgh, that she asked to pay in installments.